Over the coming year, first time committee co-chairs will participate in a series of trainings aimed at helping them become stronger leaders both in their committees and the League at large. 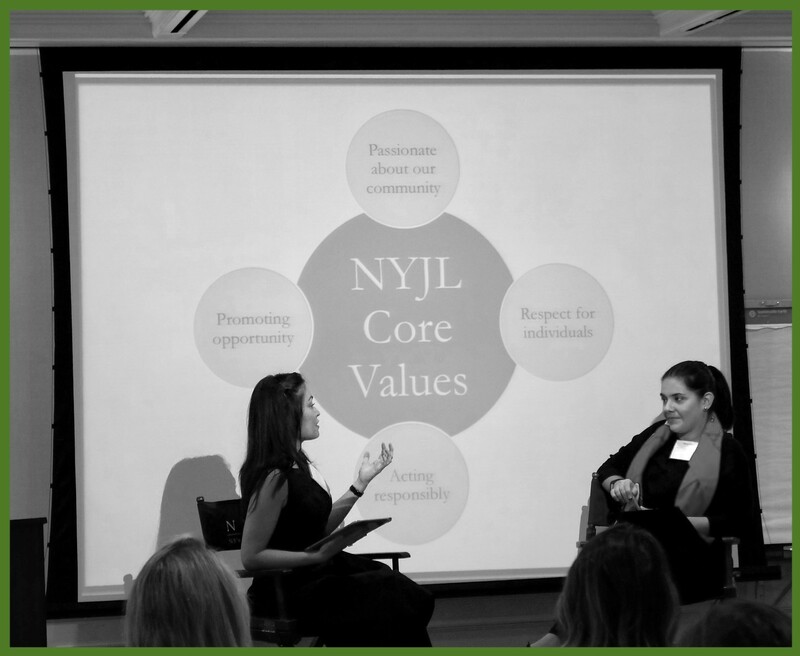 The focus of the recent fall training was, “The Ideal NYJL Leader,” where co-chairs had the opportunity to hear from current and past NYJL leaders on how to be an effective leader. Respect, open communication, passion, encouragement were qualities that were central to many of the sessions, as several speakers stressed the importance of collaboration and raising a hand when opportunities present themselves or when extra support is needed. In the afternoon, volunteers participated in a training workshop led by Diana Ng, Senior Director, Global People & Organizational Development at Tapestry. During the session, co-chairs learned how to effectively delegate and how to build interpersonal relationships. In addition, volunteers identified their primary leadership style by reflecting on their own strengths and weaknesses. Following the activity, co-chairs recognized that having this self-awareness and awareness of other people’s styles is key component of having a strong team. As Serra Eken, past Executive Vice President noted, the NYJL’s structure encourages and promotes women into leadership roles. Jennifer Wiese, Communications & Strategy Senior Council Head, also noted, every woman who joins the NYJL is a leader in the community, and having the support from the organization and fellow volunteers helps her continuously become a better leader. Thinking of becoming a co-chair? Be sure to talk with your current co-chairs and raise your hand!